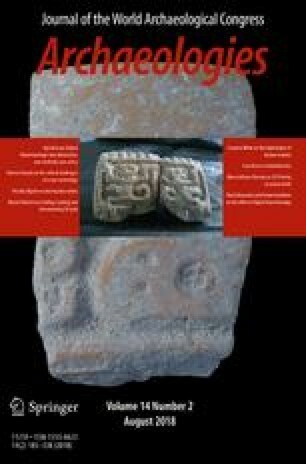 Introduction to the Special Issue: Digital Bioarchaeology: New Dimensions, New Methods, New Ethics. Présentation du numéro spécial: Bioarchéologie numérique: nouvelles dimensions, nouvelles méthodes, nouvelles éthiques. Introducción al número especial: Bioarqueología digital: nuevas dimensiones, nuevos métodos, nueva ética. [W]hat are the ethical responsibilities of skeletal biologists? On one hand, we have bioarchaeologists who believe that the historical evidence obtained from human remains is critical for defending humankind against the historical revisionist tendencies of repressive, genocidal political systems, and, on the other, we have indigenous people who believe that the spirits of their ancestors are being tortured on the shelves of museums by racist, genocidal, colonial oppressors (Walker 2000, p. 18). It is unsurprising then that data and research derived from these collections should generate similar levels of controversy. However, what has not been considered in as great detail are the new ethical challenges posed by an entirely new way of ‘holding’ human remains as digital objects. This volume brings together papers from a wide array of disciplinary perspectives, including physical anthropology, archaeology, museums, and forensics. Papers survey the potential benefits of digital bioarchaeological data, discuss the importance of standardisation in both capturing and reproducing suitable digital bioarchaeological data, take stock of current practice, and above all concern themselves with the ethical implications of what has become an integral part of modern practice. Recently, important work has been done to bring the issue to the forefront of disciplinary attention (see the papers in Thompson and Errickson 2017), but we must continue to interrogate the processes by which digital bioarchaeological data are collected, standardised, attributed, and disseminated as the technology for doing so changes. It is my hope that these papers, particularly the open discussion from different disciplinary perspectives transcribed in the final paper, and the text of resolution on digital bioarchaeological ethics adopted by the World Archaeological Congress, will form an important part of what should always be an ongoing, evolving dialogue on the ethics of our research. There is no conflict of interest.